Located at 133 Chute Road, Bear River, Nova Scotia. We are 7km off highway 101, between Digby and Annapolis Royal. Take exit 24, and just follow the signs! 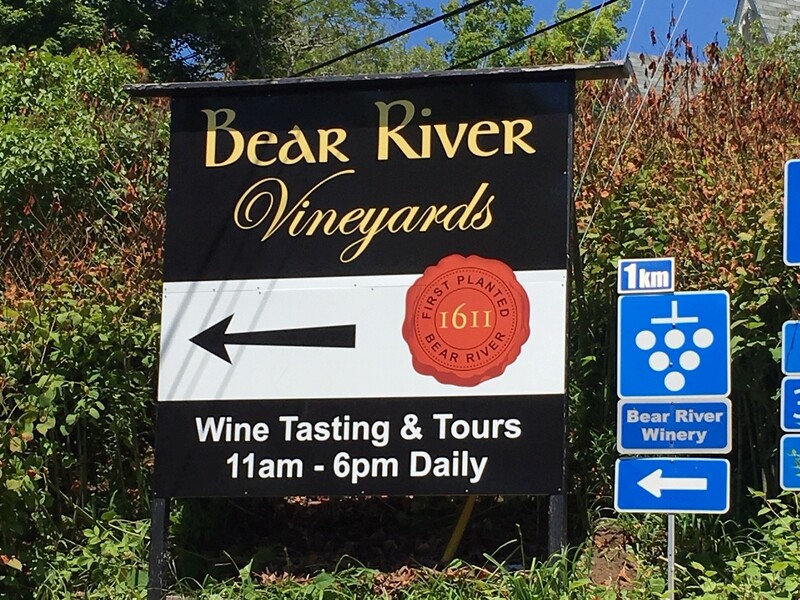 You will be guided to us by a mix of blue and white provincial signs for wineries (grape bunches) and our custom Bear River Winery signs, like the ones pictured below.